source Emma always knows how to make you smile no matter what is going on. get link I thought the face that Emma is making here was pretty descriptive of how we feel about medical care at this point. For those of you that are unaware of the daily happenings in our lives you are in for a lot of information. 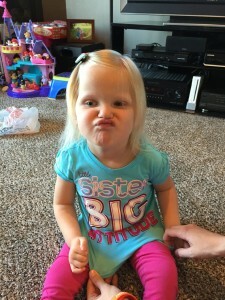 Before I get to all of the medical updates that most definitely deserve Emma’s silly face. 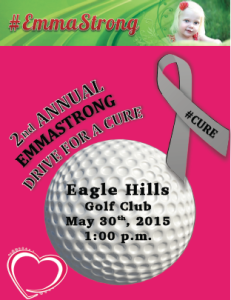 I have to let you know about the EmmaStrong activities that are taking place very soon. Please feel free to go to the Events page for more information but I will give a quick synopsis here as well. follow site On Saturday this week we have the first ever EmmaStong “Polish Horseshoe” Tournament that is being held in Columbus at Westbrook lanes starting at 2:00 p.m. 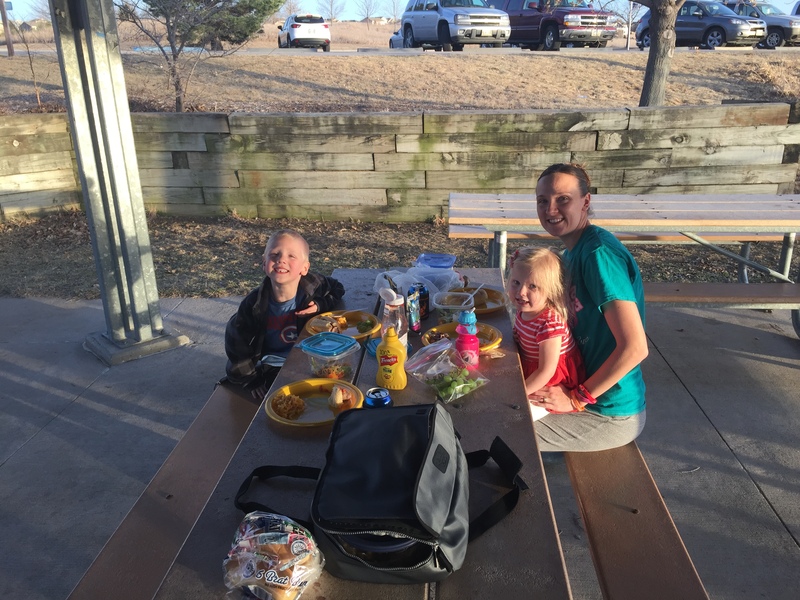 There is also a free will donation meal that will be held from 5:30 – 7:30 p.m. as well. Feel free to stop out at any time to grab a bite to eat or have a drink with us. There will also be a live auction following the meal if you are interested. http://maientertainmentlaw.com/?search=online-prednisone On May 30th there will be the 2nd annual EmmaStrong “Drive for a Cure” which is being held at Eagle Hills in Papillion, NE with a shotgun start at 1:30 p.m. I cannot thank those of you that have already committed to supporting this event but I am begging for all of you to come out and support this cause so close to my heart. This event was a lot of fun last year and we were able to raise over $11,000 and now knowing more how difficult a road it is to develop new drugs it is even more important that we help do something about it. I know some of you are reading this and saying, “I don’t even golf.” That isn’t what it is about, golf is just a small portion of what this day is about. This is a day of celebration of Emma’s ongoing battle with this tumor and celebration of the gifts that God has granted to each and every one of us. Please consider sharing your time with us that day and make this event even more successful than it was last year. For more information as well as registration please click here. go here The final event I want to tell you about is the 3rd annual Emma’s Fun 5k Run/Walk that is being held July 18th out in Kearney, NE. We have spread these events across the state so that no one has the excuse of travel being too far to attend. Our good friends out in Kearney do an absolutely wonderful job putting on this event each and every year. Please consider taking part in this event as well. Trust me if Brent can run in this thing you can too. 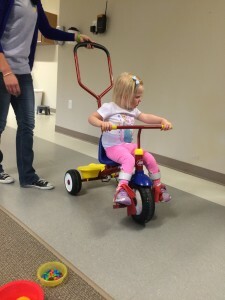 source Emma is starting to like learning how to pedal a bike. 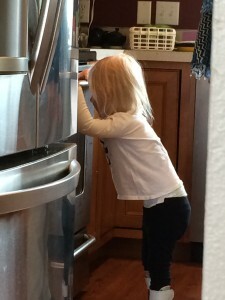 prednisone 40mg I suppose I will finally start telling you about our lovely little Emma. I cannot even begin to start to explain to everyone how strong and amazing this little girl is. Through all of the appointments, pokes, blood draws, medicines and MRI’s Emma is almost always smiling. Ok, maybe she isn’t always smiling but who would have known that PT’s and OT’s could be so demanding. This is funny unless you have ever gone through a therapy session, then it really isn’t. 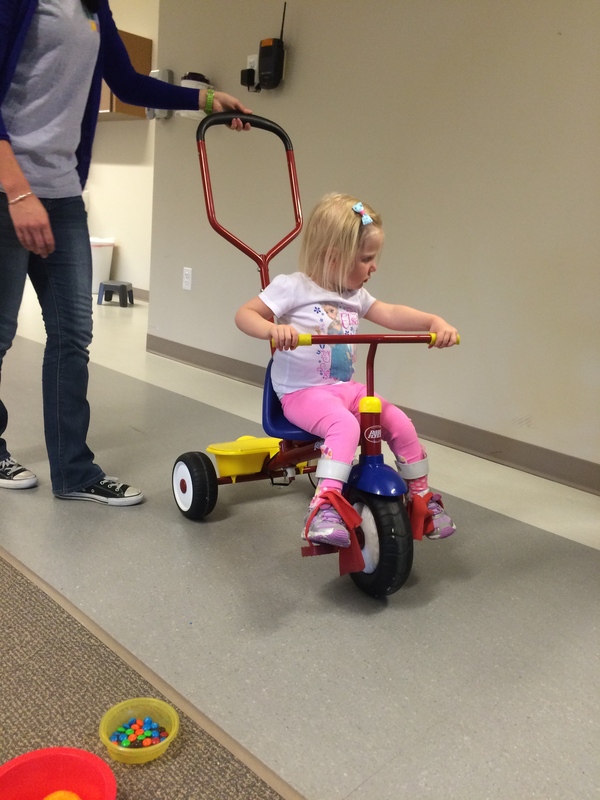 Our PT’s and OT’s are amazing, but boy does Emma give them an earful some days. enter To update everyone just a little, Emma has been on a six week break from chemotherapy of any kind. This wasn’t because of any issues that Emma was having but because we were patiently waiting for a trial out in L.A. to open up. As of last Friday Dr. Robison had informed us that the trial still isn’t completely ready and it could still be another month or more before it is ready. We have been hearing this since the end of February now so we are starting to think we should have just went with the TPCV instead. 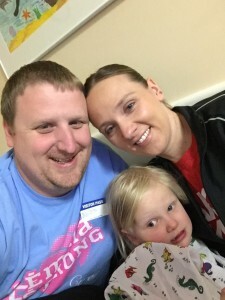 Regardless of what we think it was decided by doctors in L.A., Boston and Omaha that Emma should have a new MRI done so that everyone knows what the tumor has done since we stopped chemo all together. This information would be helpful to let us know if we have more time to wait as well as give us a baseline as to what the tumor actually looks like before starting our next regimen. cialis generico o original Emma was really interested in helping cook. lasix 40 mg Since it was quickly decided that this needed to be done everyone agreed that we should just do the MRI in Omaha. This allowed everyone to stay home and make it a little less traumatic on Emma as well. The good news from this MRI was that Emma had little to no issues with being put under and we were able to leave the hospital right around noon. From our past experiences combined with Dr. A being out of the office we figured we wouldn’t hear from anyone on Tuesday. What we didn’t expect was the phone call that we got on Wednesday. The hospital called to inform us that after looking at the scans they could determine that the tumor had shrunk. Kathryn and I knew this probably wasn’t the case so we weren’t surprised when they told us that they were comparing the scans to those that were taken in August prior to the last tumor resection. While I am in no way shape or form a doctor of any kind, even I know that this isn’t very helpful information. Of course the tumor is smaller when you go in and remove part of it surgically. We asked why wasn’t the scan compared to those that were taken in February or even those from November of last year. Their response was that the August ones were the most recent they had available. If anyone knows Kathryn at all you will believe me when I tell you that we have had all MRI’s that were taken in any location sent to the other hospitals. We want the doctors to know as much information as possible when they are making life and death decisions with our daughters care. What we don’t understand is that Dr. Abromowich has discussed with us the results of the scans multiple times following both scans. How can this be if Omaha Childrens doesn’t have the scans. Needless to say this raised our blood pressure and we have since spent the last two days calling for answers (and more copies of the MRI’s). I will personally be delivering this copy of the MRI to Childrens this time. I want to be the one who hands it to those responsible for entering the scans in the computer. What if we had an emergency here in Omaha and they didn’t have the scans to look at?? Needless to say it has been a frustrating and exhausting few days. Emma absolutely loves picnics. The goal is to have at least one a week this summer. Feel free to join us. So the answer that everyone is looking for. 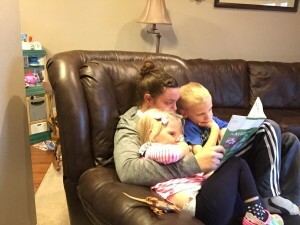 We know NOTHING about what Emma’s tumor is like at this point. The only thing that we know is that it is smaller then it was in August, which we already knew. 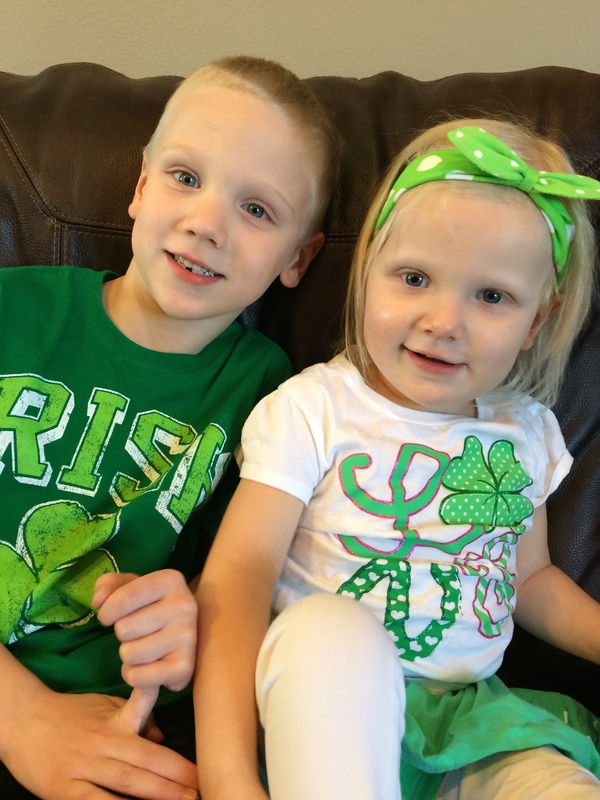 I know it sounds like everything is doom and gloom around here but Emma and Aiden are truly gifts from God that we are blessed to have in our lives. While these medical mistakes are frustrating and frankly unacceptable we know that every single day that we have as a family is a gift. I can’t thank God enough for every second that I have with these amazing people. Thank you for all that you do for my family, I promise it does not go unnoticed. Probably a little late to post this picture but man are they cute. There really is a lot more to tell, but here is the cliff note version: Team Jack Gala, Zoo visits, Lots of Sicknesses, ER visits and lets be honest who remembers past last week. Thanks again for following Emma’s story.